Growing up in Chicago in the 1970s and 1980s, I have fond memories of watching Bill Kurtis on Channel 2 news. He was sort of a local Walter Cronkite–a personification of the news. At our house, he was on every night. So I felt some nostalgia when I got a call from a staffer on Kurtis’ current show, Crime Inc., about an episode they wanted to do on media piracy. And also some apprehension, since we’ve been pretty adamant in our work that criminality–and especially organized crime–is the wrong way to look at piracy. But since I’m a regular complainer about press coverage of these issues and an optimist that the debate can be changed, I agreed to help. The Crime Inc. people sent over an outline that leaned heavily on content industry talking points: job losses attributable to piracy; financial losses to Hollywood, artists, and the economy; downloading as theft; and the role of organized crime. But they had also found our Media Piracy in Emerging Economies report and wanted to understand our perspective. I explained that we have problems with the way the major industry groups frame these issues. 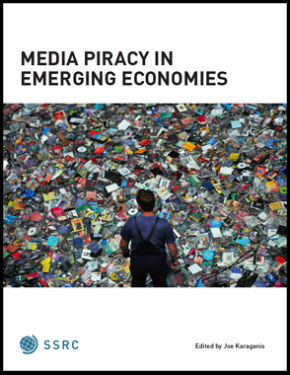 We don’t think piracy is primarily a crime story, but rather about prices, lack of availability, the changing cultural role of media, and the irreversible spread of very cheap copying technologies. They said they understood. It’s a complicated topic. I said I’d help as long as this didn’t end up as an MPAA propaganda piece. 60 Minutes had done one of those a couple years ago and it was a major public disservice. They said they’d do their best. Over the next few months I spent four or five hours talking to and corresponding with staff at Crime Inc. I walked them through the difficulties with measuring the impact of piracy, the problems with opaque industry research, the general irrelevance of organized crime, the market structure and price issues that have made piracy an inevitability in the developing world, the wider forms of disruption in the music industry and so on, and so on. I gave them a list of people to talk to, including Internet hero and MPEE support group gold member Mike Masnick. And they did interview Mike for several hours. The episode aired a few weeks ago. Unfortunately, it is an almost pure propaganda piece for the film and music industry groups, reproducing the tunnel vision, debunked stats, and scare stories that have framed US IP policies for years. Nothing I told them registered. Mike did not appear. The only concession was two minutes at the end for an alternative business model segment focused, strangely, on the Humble Bundle software package. By the end, I no longer thought this was an MPAA covert op. Rather it looked like a Rick Cotton overt op. Cotton is VP and General Counsel at NBC-Universal, an enforcement hardliner and piracy fabulist to rival Jack Valenti, and one of Crime Inc.’s corporate bosses. He got plenty of airtime to talk about the existential crisis of piracy and the need for stronger enforcement. I have no idea if word came down from him to produce this story (it was the early days of the SOPA fight) or if Crime Inc. was just following the well-worn script on these issues. One doesn’t exclude the other. But it is clear that the show rented itself out to Cotton’s larger enterprise: Crime Inc. Inc., the business of hyping the piracy threat. So what do we learn from Crime Inc. Inc? Here’s a short summary. I’ll also reproduce some of my end of my correspondence with them below, which goes into more detail. First–and bizarrely–that there is a massive problem of organized criminal DVD and CD street piracy in the US. And that this is part of a much wider array of linked criminal activities; and that DVD piracy is more lucrative than the drug trade. I imagine they led with this because it’s more filmable, but it has little to do with present day piracy. I tried to tell them that. 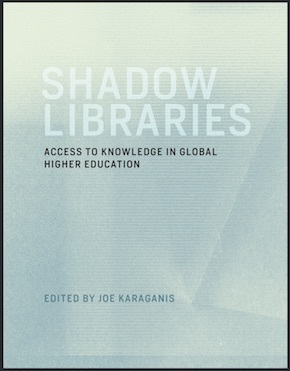 Our work does go into this and finds what everyone knows–that DVD piracy has been displaced by sharing and downloading of digital files in the US in the past decade, and that the street trade has been almost completely marginalized. Even at its peak, CD/DVD piracy does not appear to have been a big market. 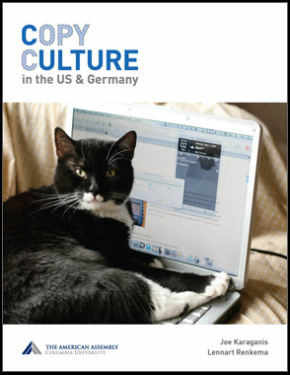 Our 2011 ‘Copy Culture’ survey found that only 7% of American adults had ever bought a pirated DVD. The drug trade claim–ugh. It’s incredible that this bit of nonsense can be endorsed by journalists with some investment in understanding crime. Second–we get a recitation of impossible-to-kill zombie stats: that media piracy costs the global economy $57 billion/year; that it costs the movie business $6.2 billion/year; that 2 million people work in film/TV production in the US and that piracy has destroyed 373,000 jobs. The problems with these numbers will be familiar to readers of this site, but see below for more detail. Third–the now traditional guided tour of Mexican street markets, to look for evidence of cartel manufacture of CDs and DVDs. See here and below for more on how this has become a media ritual. In short: are cartels involved? Almost certainly yes, in parts of Mexico where the cartels control most of the informal (and some of the formal) economy. Is this typical of developing countries or the US? No. Will it survive the spread of bandwidth and cheap computers in Mexico? No. Fourth–that downloading is theft and everyone knows it. End of story. Pity the hipster they found to stage this point. 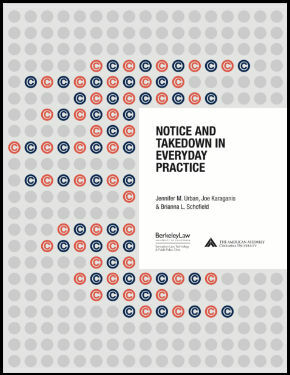 We document more complicated attitudes toward copying and sharing in the US, marked by generally strong concern with the ethics of uploading or ‘making available’ of materials; widespread but weak and largely non-operative concerns with downloading; and virtually no concerns about sharing with friends and family. Fifth–that piracy is why sympathetic characters like Hollywood stuntwomen have to worry about not having steady jobs or insurance. This is an odd claim in an era of record profits for the major studios, massive corporate welfare for film production, and continued outsourcing of production to non-union, low-wage countries, but hey–it’s a show about piracy. Uncharacteristically, there appear to be no pirated versions of the episode available online. 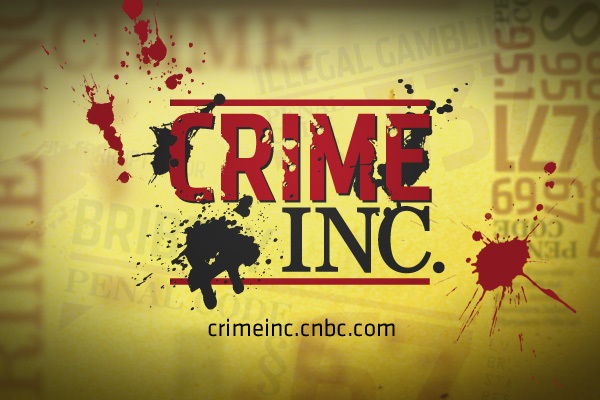 Which leads me to think that Crime Inc. may have stumbled onto the most powerful anti-piracy strategy of all: make TV that’s only designed to please the corporate boss. Additional thoughts from Mike: Just to add to Joe’s excellent breakdown of the what happened. I had two roughly hour-long phone calls with Crime Inc. staffers, sent one detailed email to them and also spent an entire afternoon being interviewed on camera by them in San Francisco. In all of that, I corrected various misconceptions, and repeatedly pointed out that these issues were complex and nuanced, and it would be inaccurate to classify things as simply “theft” or to not recognize the wider implications of what was happening. Throughout it all, they insisted that the show would be a balanced exploration of the topic, and they even promised me a DVD of the final program (which has yet to arrive). I should have suspected that the whole thing was going south when we spent an inordinate period of time with the producer coaching me to make fun of Kim Dotcom during the videotaped interview. She literally would take some of my words and suggest alternatives as ways to make fun of Dotcom. I pushed back on a few points and she seemed annoyed that she couldn’t get me on tape saying it exactly the way she wanted. This, apparently, is how the TV sausage gets made. My reward for all of that was apparently to be cut out of the program entirely. Given how much of my interview was about opportunities, alternative business models, and the recognition that the issues were really business model problems, rather than legal problems having to do with copyright law, I now wonder if my inclusion was solely to try to get me to mock Dotcom on camera, with the rest just being a setup to make me comfortable to say such things. Failing that, my segment got cut out entirely. I’m sure NBC and Rick Cotton got what they wanted out of the broadcast. But what could have been a valuable and nuanced discussion about the complex problems being dealt with here turned into a simplistic, stereotyped and factually bogus report that reflects poorly on Bill Kurtis, NBC and Crime Inc.
which is generally our view. research–not just the powerpoint or summary. or people could be interesting. (2) the kid who uploads in the course of downloading. guesswork and some (substantial?) portion will be legit. If they show the movies, they will be copied. screeners or copies made from film within the distribution chain. copy of the soundtrack and these will get merged. DVD/Blu-ray releases will be copied immediately and circulated online. the most of the distribution is online. Here’s how I’d frame this–independent for now of questions of filmability. Re your proposed Mexico segment, I can endorse a variation on that…. gringos. It’s an interesting story! into the MPAA talking points.